Update: The victim in this crash was identified as Sean Crume, age 45, according to NYPD. A hit-and-run driver killed a man walking across 21st Street in Astoria last night. The crash occurred just before 11 p.m. at the intersection of 21st Street and 30th Road, where there’s an unmarked crosswalk with no traffic signal. The driver continued for half a block with the victim on the hood of the car before slamming the brakes and fleeing the scene, leaving the man lying in the road, according to PIX 11. Police arrived at the scene at 10:56 p.m. in response to a 911 call. The victim was found lying in the street severely injured and rushed to Elmhurst Hospital, where he was pronounced dead. A police spokesperson told Streetsblog that NYPD’s Collision Investigation Squad believes the suspect was driving a “dark colored sedan” heading southbound on 21st Street. No arrests have been made. Responding to pressure from local residents and elected officials, DOT made some meager safety improvements to 21st Street last year. The agency held off on a more substantial redesign of 21st Street that would have reduced the number of general traffic lanes, citing high traffic volumes. The street is a favorite cut-through route for drivers heading to the free Queensboro Bridge. 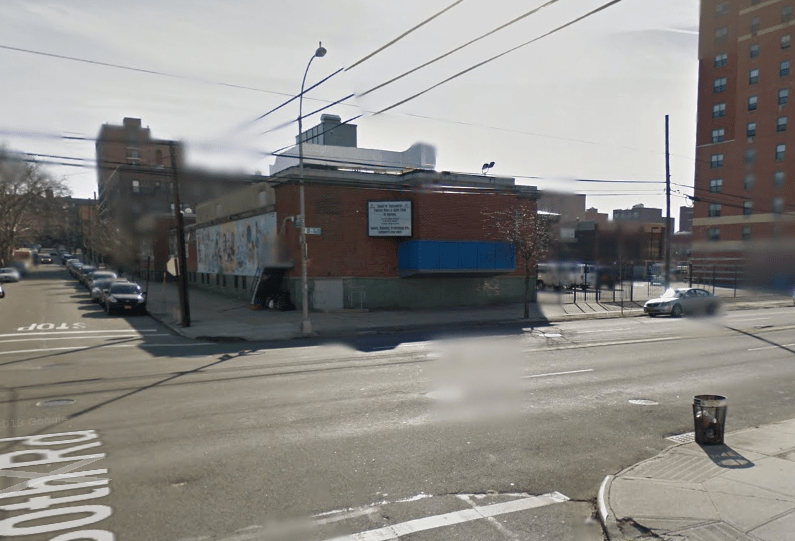 This crash occurred in the 114th Precinct, where two cyclists and two pedestrians were killed in 2015, according to crash data tracked by Streetsblog. The speed limit on 21st Street is 25 miles per hour, though it is not signed. Officers in the 114th Precinct ticketed 774 drivers for speeding in 2015, or about two per day, according to NYPD summons data. According to Vision Zero View, one pedestrian and one cyclist were injured at this intersection in 2015, and a pedestrian was killed in 2013 two blocks south of the crash location. If you’d like to voice your concerns about street safety in Astoria directly to 114th Commanding Office Captain Peter Fortune, go to the next precinct community council meeting. Meetings are held on the fourth Tuesday of every month at 7 p.m. at Ricardo’s Restaurant, located at 21-04 24th Avenue. This intersection has long been a danger in our community. Since 2014, we have been speaking with DOT about traffic safety measures on this corner. The lack of a traffic light here is exacerbated by the surroundings, including the Variety Boys & Girls Club where children attend programs and classes every day. This fatality punctuates the great need for traffic safety measures at this intersection, one that our community has known for years. I call on the DOT to conduct a traffic study and install a traffic light at this corner to prevent further tragedies like this one. We extend our deepest condolences to the family and friends of the victim of this crime. There will be a vigil at 5:45 at the intersection to call on DOT and our elected officials to do a complete redesign of 21st Street. We have been fighting for a traffic light at this very intersection among others along 21st street for years. DOT’s piecemeal fixes, while needed, are not enough as has so tragically been shown by this killing. Maybe they’ll get a traffic light now. Too often someone has to make the ultimate sacrifice before the city is finally convinced to act. It’s unbelievable that an intersection like this can be allowed to exist – across the street from a school and surrounded by new apartment buildings. I’ve lived on 21st myself for a year and was almost hit crossing with the light within weeks of moving in. I wish I could’ve attended the vigil. A traffic light isn’t the answer here. How many times has NYC installed yet more traffic lights in a misguided effort to fix problem intersections like this one? It rarely works. Even when it does, it makes the adjacent unsignaled intersections less safe when drivers speed to make the light. The street needs to be narrowed. We might try roundabouts at problem intersections like this one. It looks like there’s room for one. A roundabout will force traffic to slow to safe speeds of 15 mph or so. Unlike a traffic signal, the slowdowns will be enforced 24/7 by steel and concrete. I’m frankly amazed here that despite some 12,000 signalized intersections failing to make our streets safer officials are still calling for yet more to be installed. If traffic signals really made pedestrians safe, NYC would have zero pedestrian fatalities now. I think it’s time to try something else. Same thing with stop signs. We grossly overuse those as well. They just cause drivers to speed down the block between stop signs. Reducing traffic volumes are probably even more important than anything else. Without doing that, the streets can never be safe. It’s time for us to realize the number of motor vehicles on NYC streets is about an order of magnitude higher than it should be or needs to be.